A Reddit ex-moderator is claiming EA offered Star Wars Battlefront alpha access and other paraphernalia in exchange for deleting negative posts. Many Star Wars fans are incredibly excited for next week's Battlefront release, but a major disturbance in the Force might sour the mood. 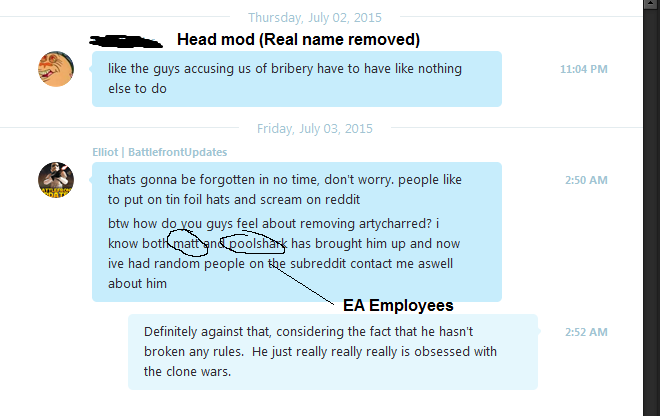 A Reddit admin is claiming an EA rep bribed moderators to remove negative Battlefront posts. 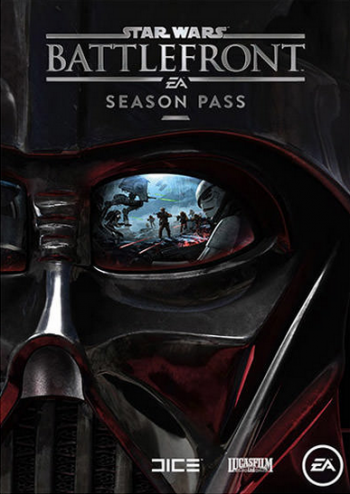 According to the allegations, moderators gained access to Battlefront's closed alpha for suppressing game criticism, while another user received tickets to the Star Wars festival and various other perks. This information started coming to light a few days ago thanks to this call for new moderators following a Reddit user agreement breach. 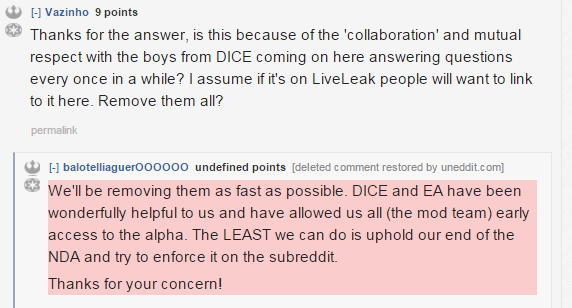 "There was a representative from EA directing moderators to remove posts and prevent certain links from being posted," Reddit admin Sporkicide explained. "In exchange, moderators were given perks including alpha access. This had been going on for a while and is completely unacceptable, whether you were personally the moderator to yank the post or not. It appears to have been clear to all moderators what was being asked and what was being provided in return." Outside of these allegations, few specifics were offered in the initial post. But more recently, one of these ex-moderators - Unwanted_Commentary - has begun offering details of his own. Unwanted claims he was actually the one reporting on his peers, but was demodded for the trouble and has since received attacks on his character. 1. They accepted favors in return for moderator actions. 2. They farmed the subreddit nonstop for YouTube revenue by stickying videos made by the moderators and adding referral links in the sidebar. 5. They turned a blind eye to the massive astroturfing operation that is underway in the subreddit. 6. They exposed personal details about users that were confided in private. Unwanted later updated this post with screenshots and additional info, including deleted posts from the head moderator's alternate account and messages that may contain moderation suggestions from EA employees. Obviously more context on this evidence is required. For example, the only moderator who allegedly received festival tickets and Star Wars paraphernalia? He has a separate relationship with EA through his YouTube channel, which means those benefits likely have nothing to do with Reddit. That aside, some of these allegations are deeply disappointing if there's any truth to them. We've reached out to EA for a statement, and will update this post with more information as it develops.